What Is The History Of Electrolysis? An ophthalmologist, named Charles E. Michel, discovered electrolysis in 1875 to permanently remove ingrown eyelashes presented by some of his patients. The basic technique has remained the same through the years, though its efficacy has improved with the development of modern equipment. What Is The Technique Of Electrolysis? 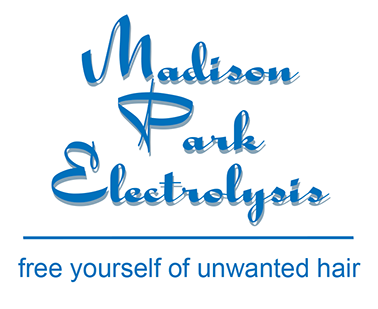 Electrolysis involves permanently removing hair utilizing a fine, stainless steel, sterilized, disposable probe and electrical current. The probe, about the diameter of the hair, is carefully inserted into the follicle alongside the hair by a skilled, professional electrologist. A small amount of electricity is administered; just enough so the hair can be removed without resistance and the skin is not harmed. Stages of hair growth—Hair is in different stages of growth at any given time and electrolysis can only be performed on visible hair. Protection of the skin—Because it is important to protect the skin, we cannot use an electrical intensity high enough to completely destroy the follicle. A little destruction of the hair root occurs with the removal of a hair in a particular follicle, and over time this hair root will be completely destroyed. At that time, this follicle will never be able to grow another hair. Hormone imbalance—If there is an imbalance, follicles that previously did not contain hair may begin to produce hair. What Causes The Growth Of Unwanted Hair? Heredity is, of course, the key culprit in excessive hair growth. Any influence on the glandular/endocrine system, normal or abnormal, can also cause unwanted hair growth. Normal changes include puberty, pregnancy and menopause. Abnormal influences such as illness, medications, hormones and stress may also cause superfluous hair. A series of regularly scheduled treatments is necessary to reach permanency. As treatment progresses, sessions become less frequent. Your electrologist will set up a schedule tailored for you. Electrolysis requires your faithful participation in the continuity of treatment. There is a sensation when the electrical current is applied. Many patients liken this sensation to that which occurs with common tweezing. The sensation should not be a deterrent as it is minimal and the end result will be well worth any small amount of discomfort. Any area of the body can be treated such as chin, upper lip, eyebrows, breasts and abdomen. Inside the ear and nose are the exceptions. What Will My Skin Look Like After An Electrolysis Treatment? You may experience a slight swelling and/or redness on treated areas that will usually disappear within an hour. This is perfectly normal. Occasionally slight scabbing, which is a natural part of the healing process, may appear after treatment. Your cooperation is necessary. You must not irritate treated areas by rubbing or picking at the skin and you must keep the area clean. Often recommended is the application of an antibiotic cream, antiseptic lotion, or aloe vera gel. What About Other Methods Of Hair Removal? Other methods of hair removal such as depilatories, shaving, waxing or tweezing are only temporary and can irritate the skin. Waxing and tweezing can potentially stimulate new hair growth and make the hair that is being removed, courser and stronger. This is especially true on the female chin. What About Laser Hair Reduction? As mentioned, the AMA and FDA recognize electrolysis as the only permanent method of hair removal. Electrolysis destroys fine, blond, and white hair as well as dark, course hair, can be used safely around the eyes to shape eyebrows, and is safe on all skin colors including tanned skin. Lasers have been cleared for permanent hair reduction and therefore will not result in a permanent removal of all hair. Lasers work with the melanin (pigment) of the hair and thus are not successful with light colored hair. Laser hair reduction has not been evaluated for long-term safety of the client's skin and health.